As a national web-based TV broadcaster, CCTV.com provides users with a globalized, multilingual and multi-terminal public webcast service platform. It offers interactive audiovisual services, integrating features of internet-based operations with those of TV programming. Making the best use of its advantages as a duel-platform (web-TV) service provider, CCTV.com seeks to develop into an authoritative internet-based broadcaster in China. Its webcast coverage is timely and accurate, covering local as well as international events in a wide variety of areas, ranging from politics, economy and society to culture and sports, etc. Moreover, CCTV.com has committed itself to providing audiences worldwide with user-friendly, highly-efficient, “full-featured” webcast services. These including live video, VOD, file upload, search and videocast services that will make CCTV.com into a popular online video platform for public information and entertainment. CCTV.com operations are aiming to provide an “interactive TV viewing experience”. They focus on reproducing, reprocessing and fragmenting traditional TV programming resources, as well as producing and disseminating original internet programs (produced by CCTV.com or netizens). CCTV.com continuously improves on its services through use of a system that prioritizes user feedback, enabling netizens be a part of a fruitful process that provides fast and easy access to high-quality audiovisual services. 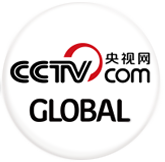 CCTV.com aims to stand as a world-class online TV broadcaster, and illustrate the high standards of Chinese webcasters. CCTV.com will be built from China’s largest online video program database, and equipped with a globalized, multilingual and multi-terminal content distribution system to transmit high-quality internet programs to a maximum number of viewers and live up to its potential and high ambitions.